I completed a Bachelor of Metallurgy (Hons 1) from the University of Newcastle in 1984 in conjunction with six years in industry as a trainee Metallurgist. I then completed a PhD in Metallurgy under an AINSE studentship which saw me spend 3 months each year conducting experiments at the HIFAR nuclear reactor at ANSTO in Sydney. 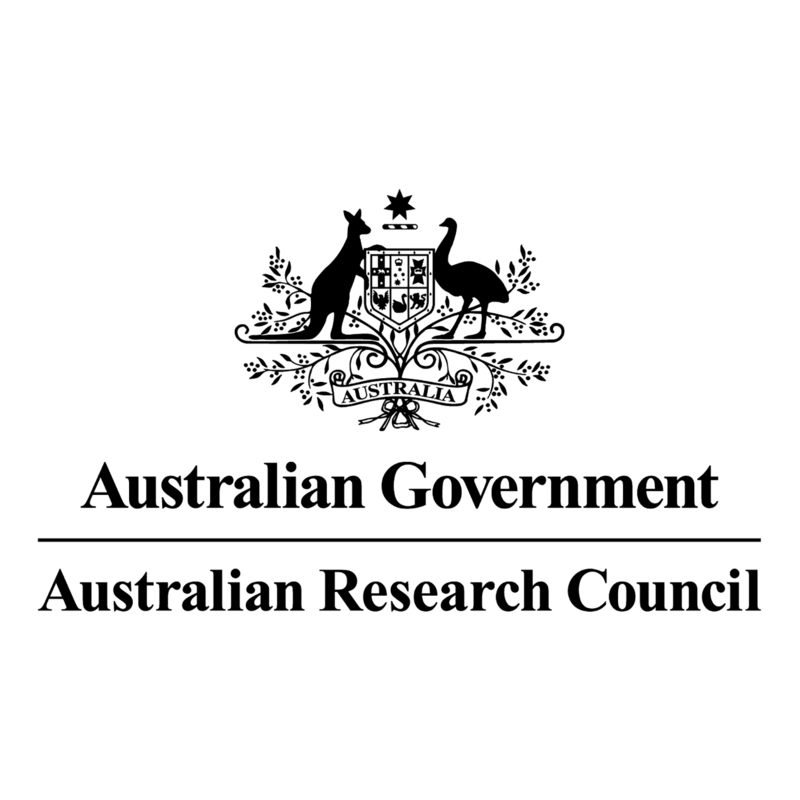 I went on to take up a National Research Fellowship also based at ANSTO (1988-90) studying phase transitions and synthesis methods in zirconia ceramics. There followed a senior research fellowship at Griffith University in Queensland (1990-93) working on metals for hydrogen storage which has recently become very topical. In mid 1993 I returned to Newcastle to take up a position as a lecturer, senior lecturer (1997), Associate Professor (2001) and Professor (2007 - ). 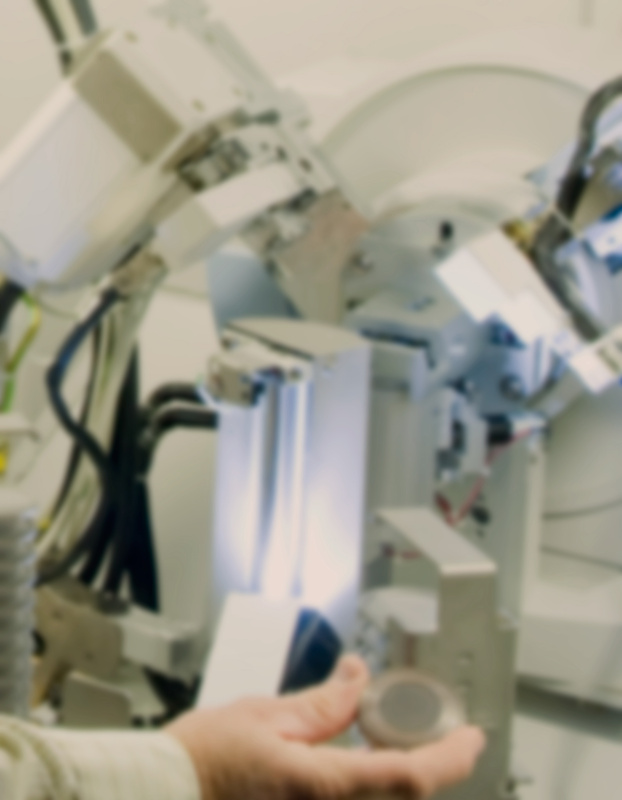 I have researach experience ranging from process and physical Metallurgy (BHP Newcastle and Dept Metallurgy U of Ncle) through metal hydrides and intermetallic compounds to advanced ceramics (Zirconia, piezoelectrics and MAX phases). I have used such diverse research tools as thermal analysis, electron microscopy and diffraction, and scanning tunneling and atomic force microscopy. My particular expertise is in the application of in-situ neutron and X-ray diffraction experiments to study materials during simulated service or during their synthesis. This has included metals and advanced ceramics under large stresses, extremes of temperature (4-2600K), in hydrogen atmospheres or electric field. My work has received over 1300 citations, has H-index 21 and is cited an average of more than 16 times per paper in the international journal literature including self-citations (ISI Web of Science) . I am a former Assistant Dean of Postgraduate Studies in the Faculty of Engineering and have served on the Universitys Research Higher Degrees Committee. I am currently the Student Academic Conduct Officer for the School of Engineering. In addition, I have contributed to policy development, management and review of the Universitys central research facilities (Electron Microscope Centre and X-ray Centre) for more than 10 years. My professional associations include Fellow - Institute of Physics (London), Vice-President ANBUG and ordinary member - Australian Institute of Physics and Society of Crystallography in Australia. I lead a research team currently comprising 1 Senior Fellow, 1 technical officer, 6 PhD students and on average 5 honours students. The group has an average annual research budget of $300,000 as well as a very high success rate in gaining peer reviewed access to major international neutron scattering facilities (ILL France, ISIS UK and OPAL Australia). Courses that I have taught include Materials Selection, Physical Metallurgy, Research Topics in Physics, Fabrication of Metals, Design III, Materials Science and Engineering 1, Materials Science and Engineering 2, Final Year Project. As such, I have experience in teaching across a wide spectrum of Materials Science and Materials Engineering at a range of levels as well as considerable experience in the teaching of skills related to the conduct of a major project. I also have considerable experience in research training having supervised numerous PhD's to completion and have had many Research Fellows in my care. I am the Student Academic Conduct Officer for the School of Engineering. In addition, I have served as Assistant Dean - Postgraduate Studies (1998-2001) as well as being a member of the Research Higher Degrees Committee during the same period. I also serve on Committees advising the DVC - Research on the university's Research Support Units. I am a former council member and Treasurer of the Australian Neutron Beam Users Group (ANBUG). I have strong collaborations with Prof Oliver Kirstein of the European Spallation (neutron) Source in Sweden concerning the elastic properties of certain complex carbides which bridge the properties of metals and ceramics as well as investigation of the stress distributions in granular materials under compaction within dies. This latter project with colleagues Dr Chris Wensrich (UoN) and Dr Vladimir Luzin of ANSTO, has been awarded 3-year ARC Discovery Project funding as well as a 3-year Program Grant from ANSTO for 20 days per annum on the neutron strain scanning diffractometer Kowari. Other collaborations include other scientists at the Bragg institute and Institute of Materials at ANSTO, the ISIS spallation neutron facility in the UK, the Institute Laue-Langevin in France and the Earth Sciences Department at Cambridge University (UK). World's premier neutron scattering conference (>700 delegates). Organisation: International Union of Crystallography Description: Premier international crystallography conference (typically ~2,500 delegates) held every 3 years. Description: Invited Lecture at a Satellite Meeting to the International Union of Crystallography Congress 2002. © 2018 Elsevier Ltd The ability of a C-Zn Miscibility Gap Alloy (MGA) material to operate as a combined solar receiver and storage was investigated. MGA thermal energy storage materials comprise metallic PCM particles embedded within a conducting metal or semi-metal matrix to form a macroscopically solid combined latent heat/sensible heat storage material. A receiver containing 4 × 1L MGA storage modules was mounted on a solar concentrating dish. The storage material was directly illuminated by concentrated solar radiation at a flux of approximately 105 kW/m2, readily attaining surface temperatures of 520¿530 °C, well above the phase change temperature of 420 °C. Single step charging led to a state of charge of 80% without exceeding a nominal surface temperature of 530 °C. Cycling on and off sun in the range 460¿520 °C was used to achieve a state of 99% charged. Thermal performance of the MGA during solar charging and its discharge by natural cooling is presented and analysed. © 2016 The American Ceramic Society. The Mn+1AXn phases Cr2GeC and Cr2GaC were synthesized with high phase-purity directly from Cr2O3; Ge or Ga; and C using a single-step carbothermal reduction. X-ray diffraction and scanning electron microscope analysis of the materials shows them to be >99 mol% Cr2GeC and 92 mol% Cr2GaC, respectively. Extension to non-Cr systems is briefly demonstrated by applying the method to the synthesis of V2GeC. © 2016 Elsevier Inc. All rights reserved. Extension of the aluminothermal exchange reaction synthesis of Mn+1AXn phases to systems where the element &apos;A&apos; is not the reducing agent was investigated in systems TiO2-A-Al-C for A=Al, Si, Ga, Ge, In and Sn as well as Cr2O3-Ga-Al-C. MAX phase-Al2O3 composites were made in all systems except those with A=Ga or In. The effectiveness of conversion to MAX phases was generally in the range 63-96% without optimisation of starting ratios. Optimisation in the Ti-Si-C system gave a MAX phase component with >98% Ti3SiC2. © 2014 Elsevier B.V. All rights reserved. The potential of novel tungsten-barium titanate composites as thermionic emitters is explored. Composites ranging from 20% to 80% tungsten by mass were prepared by sintering in an Ar-H2 atmosphere. XRD and SEM studies indicate four major micro-constituents; W, BaTiO3, Ba4(Ti,Fe)12O27 and BaWO4. Richardson work functions (fR) and Richardson constants (AR) were determined using a Schottky diode arrangement at temperatures ranging from 1223 to 1473 K. Work functions ranged from 2.67 eV to 3.32 eV with a shallow minimum at 40% by mass W and were relatively constant (~2.7-2.8 eV) in the range 30-70% by mass W. The decrease in work function was accompanied by a strong decrease in AR from 39.3 A cm-2 K-2 to 0.02 A cm-2 K-2 over the range 20-70% by mass W. The reduction in both fR and AR was associated with the major conversion of the surface to BaWO4 and Ba4Ti12O27 during the activation treatment before emission testing. © 2015 Elsevier B.V. This study presents investigations of the microstructure, morphology and emission properties of the promising thermionic material (LaxBa1-x)B6. The material was synthesised by solid-state reaction without post-synthesis purifications. Powder X-ray diffraction revealed that samples prepared at a temperature =1500 °C had formed a significant proportion of solid solution (above 54 mass%). Subsequent sintering at 1950 °C caused the formation of a mixture of three solid solutions with the dominant phase being (La0.31Ba0.69)B6 ~85% (by mass). The Richardson work function and emission constant for this boride mixture were found to be 1.03 eV and 8.44 × 10-6 A cm K-2 respectively. © 2015 Elsevier B.V. The color of Cu-Zn brasses range from the red of copper through bright yellow to grey-silver as the Zn content increases. Here we examine the mechanism by which these color changes occur. The optical properties of this set of alloys has been calculated using density functional theory (DFT) and compared to experimental spectroscopy measurements. The optical response of the low Zn content a-brasses is shown to have a distinctly different origin to that in the higher content ß&apos;, ¿ and e-brasses. The response of ß&apos;-brass is unique in that it is strongly influenced by an overdamped plasmon excitation and this alloy will also have a strong surface plasmon response. The effective thermal conductivity of Cu-Fe and Sn-Al miscibility gap alloys over a range of temperatures and volume fractions was determined using the Lattice Monte Carlo method. The Cu-Fe system was found to have an effective conductivity predictable by the Maxwell-Eucken model. The Sn-Al system was not consistent with any empirical model analysed. The microstructures of physical samples were approximated using a random growth algorithm calibrated to electron or optical microscope images. Charts of effective conductivity against temperature for a number of volume fractions are presented for the two alloys. It was determined that the Cu-Fe alloy would benefit from an interstice type microstructure and the Sn-Al would be more efficient with a hard spheres type microstructure. More general conclusions are drawn about the efficiency of the two observed microstructures. © 2014 Elsevier Ltd. All rights reserved. Observed differences between measured and calculated elastic constants for Ti3SiC2 are investigated using Density Functional Theory and Inelastic Neutron Scattering. The agreement between the calculated lattice dynamics and the dynamics measured by inelastic neutron scattering is considered good except at energies below ~20 meV where discrepancies suggest anharmonic potentials. This suggestion is confirmed by Density Functional Theory - Molecular Dynamics simulation which shows multiple site occupancy of the Si atoms within the basal plane at finite temperature and produces a calculated inelastic spectrum in better agreement with the measured spectrum in the low-energy region. The highly anharmonic potential energy surface of the Si atoms offers an explanation for the failure of elastic constants, calculated based on the harmonic approximation, to agree with initial experimental measurements. © 2013 The American Ceramic Society. A persistent problem in the synthesis of complex materials from three or more constituents is the retention of very stable intermediate phases with properties grossly different from the target phase. In our recently developed two-stage synthesis methodology, a binary precursor is prepared and then directly converted into the product phase, thereby avoiding intermediate phase formation. Crystallographic similarities between the precursor and product phases are manipulated such that the major structural elements remain chemically intact. Ordered structural vacancies are used to facilitate rapid and highly selective diffusion of the third element into the precursor. Since no crystallographic reconstruction is required, no extraneous phases can form. The method has been tested on the solid state synthesis of Ti3AlC 2, Ti3SiC2 and Ti3AlC2, Ti3SiC2, producing synthesis temperature reductions of 400 - 600°C. It is postulated that similar crystal structural relationships in layered oxides, nitrides and intermetallic compounds will allow an extension to many other systems. © Institute of Materials Engineering Australasia Ltd.
Thermionic energy conversion is an ideal way of converting concentrated solar energy into electricity. Developing suitable emitter/collector materials, with optimum work functions whilst being able to withstand elevated temperatures under high vacuum conditions, is a major challenge. Rare-earth hexaborides have great potential as thermionic emitters due to their superior chemical stability and low work function values, lanthanum hexaboride (f ~2.60eV) and cerium hexaboride (f ~2.60eV). This study forms part of a series of investigations aimed at developing rare-earth hexaboride cathode materials. Methods used to synthesise, characterise and fabricate these materials are discussed together with electron emission results. © 2014 Owned by the authors, published by EDP Sciences. © 2014 WIT Press. The current paper addresses the thermal characterisation of Miscibility Gap Alloys (MGAs). These novel materials combine two immiscible metallic phases with different melting temperatures. The fusible phase (i.e. the phase with a lower melting temperature) acts as a phase change material that stores latent heat (in addition to sensible heat) thus optimising energy storage capacity. The second phase forms an enclosure and prevents the leakage of liquid material. Due to the high inherent thermal conductivity of metals, MGAs exhibit excellent thermal conduction in comparison to traditional phase change materials such as hydrate salts or paraffin. The combination of high energy storage and fast heat transfer makes MGA uniquely suited for use as thermal capacitors in applications like space heating, concentrated power generation or temperature stabilisation of sensitive equipment. The current paper determines the thermal properties of MGAs using Lattice Monte Carlo analysis combined with micro-computed tomography imaging. A large number of boron/boron oxide nanorods have been produced by high-energy ball milling amorphous boron powder using hardened steel balls and vial, followed by high temperature annealing. In an attempt to understand the growth mechanisms leading to such nanorods, we have examined as-milled and post-annealed boron powder, using X-ray diffraction analysis (XRD), scanning electron microscopy (SEM) and transmission electron microscopy (TEM). The latter technique reveals nanoporous structures that appear in the boron samples milled at ambient temperature. XRD analysis has revealed the synthesised samples are a combination of boron, boron oxide and iron. Boron/boron oxide nanorods approximately 50-250 nm in diameter and up to 7 µm in length with the iron catalyst at the top were obtained by annealing the milled boron samples at 1200°C for 5 hours in nitrogen gas. High-energy ball milling may produce structural changes and chemical reactions induced by mechanical energy which leads to the growth of a large variety of structures far from equilibrium, among them the nuclei for nanorod growth. Upon elevated temperature annealing, these nanoporous structures provide for the growth of the existing nuclei and thus generate the boron/boron oxide nanorods with the assistance of iron catalyst particles. © Institute of Materials Engineering Australasia Ltd.